Running a lawn care business can give you a lot of satisfaction, but you will also face challenges. Working with power tools carries a risk of accidents and injuries, and there’s always the chance that an unhappy customer could claim that you didn’t do a good enough job. You also face the possibility of having to pay damages if you accidentally run your lawn mower into a lawn ornament or knock down a fence, so you really can’t afford to forget lawn care business insurance. Why Bother With Lawn Care Insurance? Lawn care liability insurance protects you from being sued by customers who are frustrated with the job you’ve done. Some people are impossible to please no matter how hard you work. A client could trip over your gardening equipment and demand that you pay damages to cover his medical care, or ask you to pay to replace a lawn ornament or expensive plants that you or one of your employees accidentally damaged. Your tools and equipment are very important too. If something happens to your power mower you could be unable to work until it’s fixed or replaced – and those tools are expensive! Lawn mower insurance helps pay for a new one. 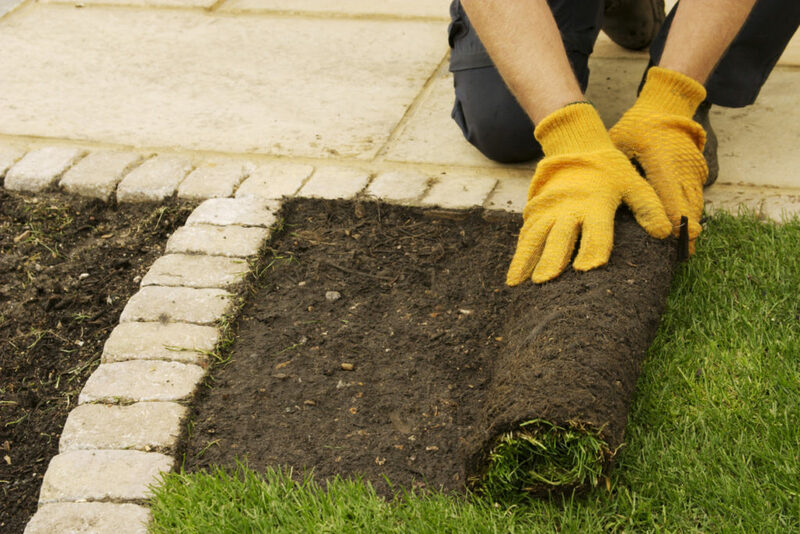 Landscaping business insurance is important whether you have people working for you or if you work alone as a sole proprietor. Your workers could be injured on the job, in which case you’d need to make a claim against your workers’ compensation insurance and might need to cover their medical care, too. And if you work alone and can’t work for any amount of time, you could lose your entire business if you aren’t insured. What’s more, if you’re a sole proprietor and someone sues you for loss or damage, you could be held personally liable if you don’t have garden maintenance insurance, which means you could be at risk of losing your home, or other valuable property. On top of all this, you want to show a professional, reliable image to your clients. Having the right gardening business insurance makes you look trustworthy and responsible, and that can only bring you more work. How much is your business worth? You will want to purchase a policy with limits connected to the total value of your policy. If you have a policy for up to $500,000 but your business is worth $10 million, that might not be enough coverage in the case of a major claim against you. How big a deductible do you want to pay? A higher deductible can mean lower premiums, but it also means that you’d have to pay that first amount out of pocket if you need to make a claim. You may be better off looking for a policy with both low premiums and a low deductible. Do you need other types of lawn care business insurance? Some policies to consider include lawn care business equipment insurance, workers’ compensation insurance, flood insurance if your office is in an area at risk of flooding and commercial auto insurance or auto liability insurance if you have one or more vans in your business. How much does lawn care insurance cost? It’s best to shop around a little and compare prices so that you can be sure that you’re getting the best possible deal. Will you pay monthly or annually? With some companies, paying annually costs less overall, but it can cause cash flow problems to pay one lump sum. Monthly payments are more flexible and better for managing your cash flow. Look for a company that offers monthly payments at no extra cost (like Next Insurance!). A simple and fast claims process so that if you do need to make a claim, you can do it quickly and easily and get the money through quickly. Online claims filing is ideal. The right lawn care business insurance gives you the confidence to carry out your work without worrying about what could happen, and gives your clients confidence in you too.